Jeanette and Alexander Toczko were married for 75 years and died within a day of each other. 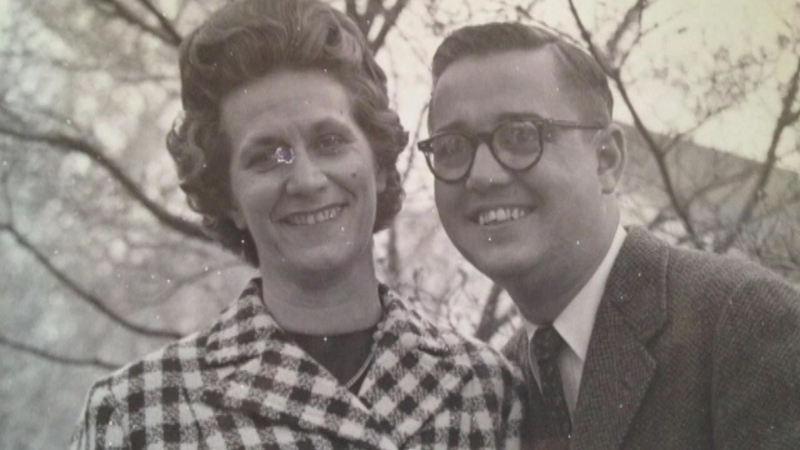 SAN DIEGO (WLS) -- A San Diego couple married for 75 years told their children they wanted to die in each other's arms, so when it was time their children helped that wish be fulfilled. Jeanette and Alexander Toczko became boyfriend and girlfriend when they were only 8 years old. Their children say they lived a life-long love affair. "My dad carried around a picture of my mother in her holy communion outfit in his wallet," says daughter Aimee Toczko-Cushman. "Their hearts beat as one from as long as I can remember." Married in 1940, they moved to San Diego in the early 70's where Alexander found another love: golf. "He would be waiting in the chair with his putter," says son Richard Toczko. Alexander played every day at Balboa golf course recently. Then, in May, his children say he had a fall, broke his hip and his health took a turn for the worse. His children remembered their parents telling them they wanted to go in their own bed, holding hands and in each other's arms. So hospice brought a bed for Alexander into their home and set it up right next to Jeanette's. She kept asking us what is today, what is today?" says Toczko-Cushman. "We said it was June. She said it's June 29th and June 29th is their 75th wedding anniversary." The family went along with it, buying balloons and flowers to celebrate in bed. "And my mother was thrilled to death because it was their anniversary and she knew that he was going and that they had made it to 75 years," says Toczko-Cushman. When the family left, Aimee says her father's health took a rapid decline. As her husband's health worsened, Jeanette's health also declined. "You could really see the change in his breathing," she says. "Even the hospice nurse said it was the most incredible thing to see the two of them taking those last breaths together." Alexander died first, on June 17. "And he died in her arms," says Toczko-Cushman. "Which is exactly what he wanted. I went in there and told my mother he was gone she hugged him and she said 'See this is what you wanted. You died in my arms and I love you. I love you. Wait for me. I'll be there soon.'" Jeanette died a day later. The couple was buried on Monday, June 29. Relatives held a joint funeral mass and 75th anniversary ceremony in their honor.